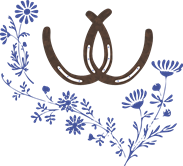 Residing in London, UK, Mandy Hall, E.q.S.P DIP, is the proprietor of EquineWellBeing Management – a leader in equine rehabilitation. 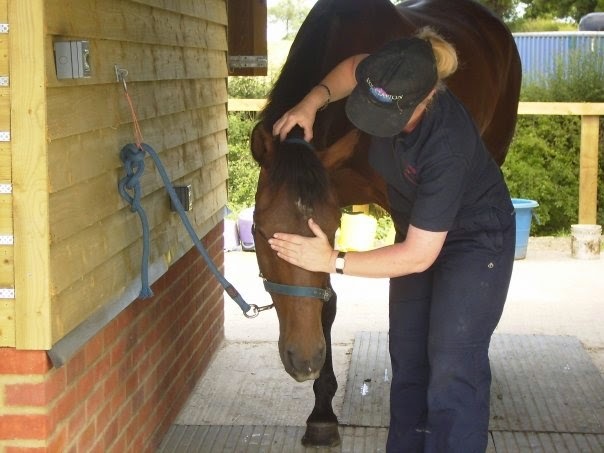 Mandy is a qualified Equine Shiatsu Practitioner (Japanese physiotherapy) providing and promoting health-care and wellbeing to our beloved horses. 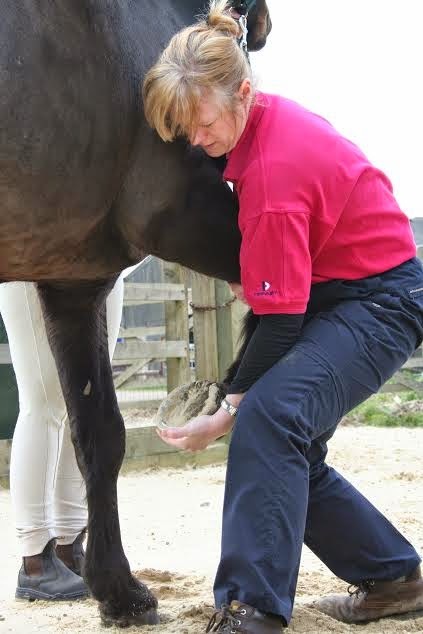 As well as treating horses, Mandy uses Seated Shiatsu to help treat riders. I was introduced to the local riding school Winkers Farm when I was about 8 years old by a friend who used to go there at the weekends just to help out by mucking out and getting ponies ready for the lessons. In return she would get a free ride. From one visit and helping my friend out I was hooked. 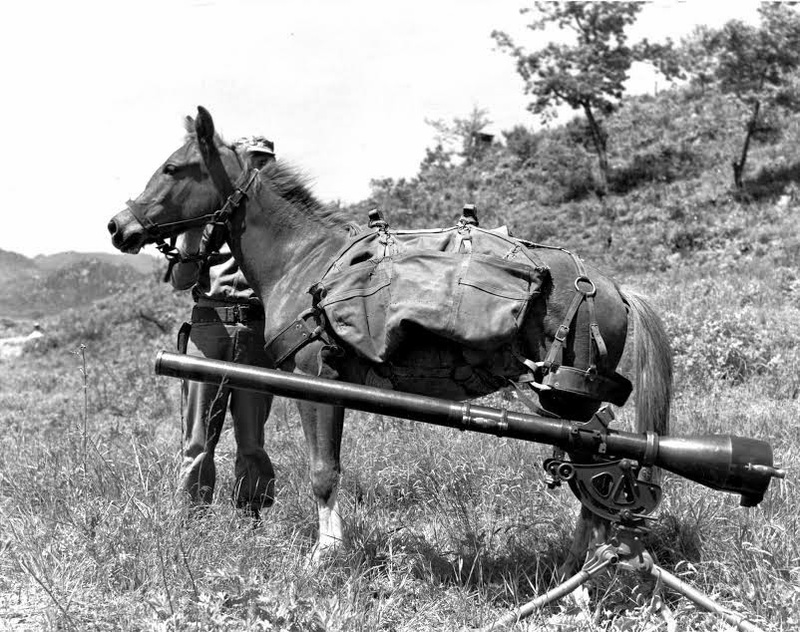 What is your horse history? As a child I spent most of my time helping out at the weekends at the local riding schools in return for a free lesson. When I was 13 I got my first pony on loan called Toppo who taught me show jumping and x country this is where my love for competing began. At 16 I finally got my own horse Dee Dee who was an Iron grey mare IDxTB from Ireland. I had her for a couple of years and sadly had to have her PTS as she got hip displacement and there was nothing the vets could do for her. After finishing school I had already decided I wanted to work with horses and was lucky enough to be accepted as a working pupil at Catherston Stud the home of Jennie Lorriston-Clarke MBE who was one of Britain’s leading riders and trainers in dressage. It was at Catherston where not only did I get my passion to compete affiliated, but also where I attained my BHS exams. After my years training at Jennie’s I went onto groom for one of Britain’s event riders at Boekelo 3* event and it was here my passion for eventing began. At the age of 20 got my first event horse Ranger who was only 3 at the time. 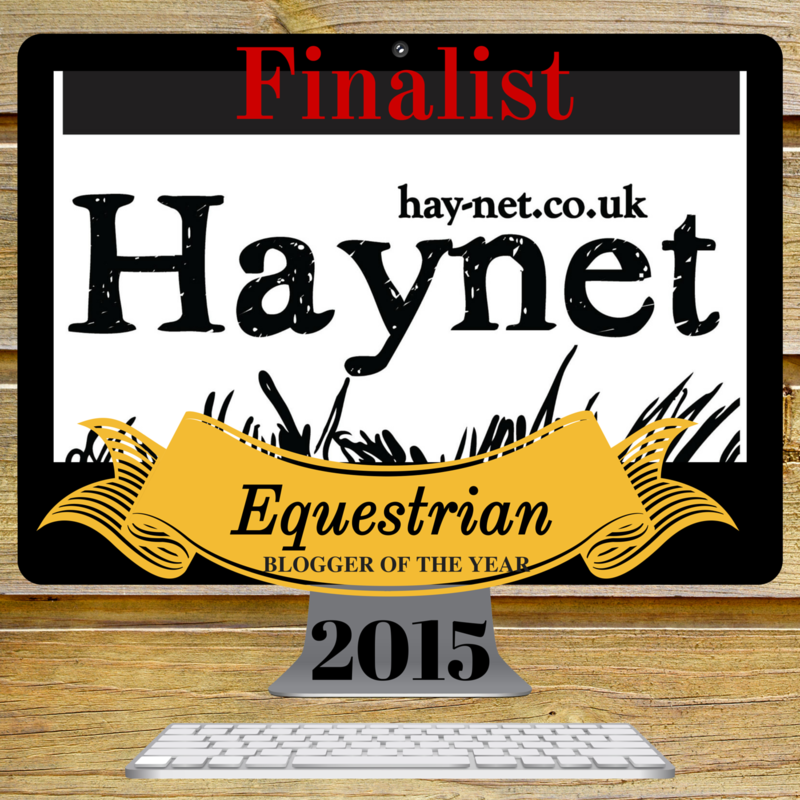 He was TB x Hackney and very sharp and it was with him I had some exceptional times eventing. This little guy taught me so much. Sadly I lost him to colic when he was 21 years old. In 2000 I was unfortunate to succumb to a nasty accident while backing a 17.3hh Percheron horse for a client. From what was just a little anxious buck form her suddenly turned into a launch of all four feet and with the quick sharp whiplash from the movement my Thoracic 9 fractured. I was extremely lucky that the horse did stop enabling me to dismount before collapsing on the floor in total excruciating pain. For me I was in hospital for 2 weeks flat on my back followed by 3 months wearing Neofrakt brace until the fractured healed. From the accident I ended up leaving working with horses for a few years so as to build up my strength and confidence. In 2005 I came across a course advertised in Horse and Hound Magazine on Equine Shiatsu. Having gone and done the introductory weekend I was hooked and continued with the 3 year course to achieve my qualification and become an Equine Shiatsu Practitioner. Today I have 2 horses, one broodmare who I had my first foal from in 2013 Quiri a chestnut filly and who I have kept to produce. Connie (AKA) it’s Cointreau the broodmare is a warmblood and has Grade A show jumping bloodlines. Her Sire It’s the Business. Quiri (AKA) Donnerhalls Daiquiri is an Oldenburg warmblood and her Sire is Grand Prix dressage horse Sir Donnerhall. In 2013 Quiri was awarded the Elite Premium for potential international dressage so I am going to be looking forward to the future to see how she excels! All my horses live out 24/7 at present as I like my horses to live in as natural environment as possible. Both girls are barefoot and live out with no rugs even during winter. The field they live in has good hedges for wind protection as does the bottom of the hill. The only time this will change will be when Quiri starts her competition career and then it will on be in the winter months that she will stay in, in the evenings. What is a Shiatsu Practitioner? 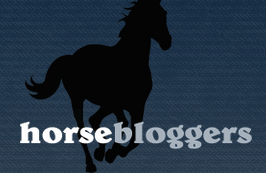 How do I know if my horse needs Shiatsu? 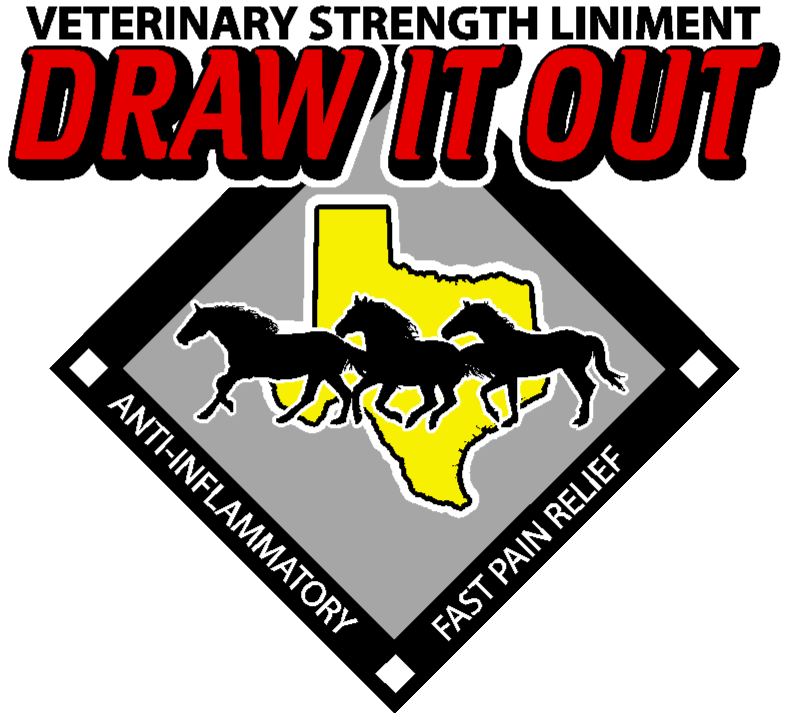 Knowing the signs when your horse needs a treatment can come in various forms. It could come from; a behavior change, stress and anxiety, skin conditions, muscular tension, injury and trauma, low immune system, respiratory problems, arthritis & joint problems the list is endless. Shiatsu helps release natural endorphins. These endorphins are neurotransmitters, chemicals that pass along signals system. 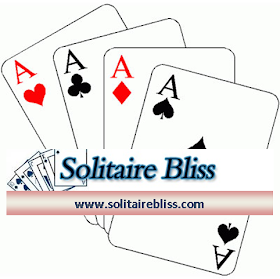 These endorphins produce an analgesic effect which help with all the above. Techniques used in Shiatsu also help circulation throughout the body. 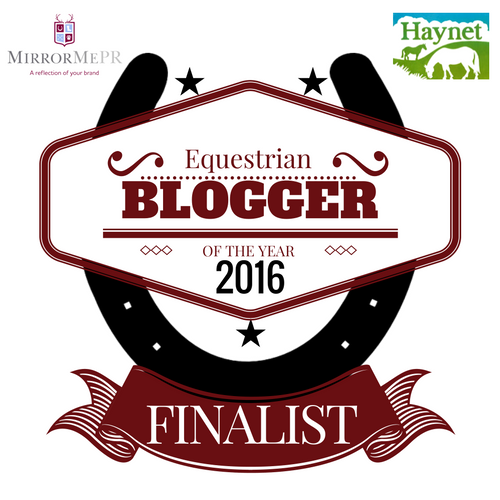 We all know ourselves the effects of bad circulation within our own bodies and our horses are no different! Good nutrition also plays a very important part in my practice as it helps with maintaining health and wellbeing. Healthy cells are required for; muscles, tendons, ligaments and bones as well as healthy digestive, respiratory and nervous systems. A couple of years ago I was introduced by a vet to a new nutritional supplement call StemEquine. A natural nutrition that stimulates the body to produce and release 25-30% higher levels of stem cells into the blood form the bone marrow naturally and therefore contributing to tissue renewal. The added benefits from this process will help maintain the body and effectively help reduce ageing degeneration. The natural adult stem cells play a key role in the natural renewal process, their primary role is to maintain and repair tissue. Scientific studies have shown that increasing the number of circulating adult stem cells in the body is an important aspect of maintaining optimal health. The supplement which comes in powder form and is FEI approved is non-invasive compared to the alternative method of producing stem cells by injecting into the bone marrow to remove stem cells to be then re-injected. As well as treating horses with Shiatsu and incorporating a good nutritional diet I also advise clients on ways to improve lifestyle management of their horse(s). This may be only on a minimum level but fast improvements can be achieved. 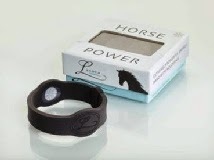 Do you recommend the energy bands for horses and what are the benefits to my horse? The nervous system in the horse is a complex system and like people the system can get its signals mixed up and interrupted. The energy band has been designed to help the body when it has compensatory problems. Throughout the correct signals and frequencies to the brain, it can help fine tune the body to work better. It is NOT a medical device that cures disease and injuries but it can help the body function in many levels which may lead to reduced risk of injury and musculoskeletal problems. A product I would recommend to my clients. In your opinion, as a horse owner, what is the most important factor in keeping my horse in optimum health? “Prevention is better than cure” and by doing this owners need to understand the important balance factors that affect health. Do you have advice for beginning riders/owners? Owning and caring for a horse can be a source of great enjoyment but is also a big financial commitment with long-term caring. Always ask yourself are you in a position to be able to commit to both financial and long term caring before purchasing as horse/pony! 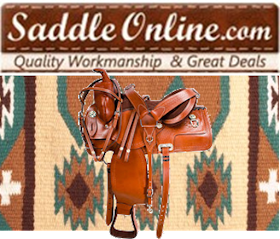 It means natural horsemanship. Working with the horse with respect and consideration in his physical, mental, emotional and spiritual aspects without using force. 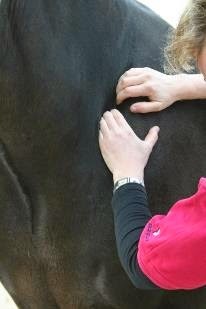 Mandy has been working as a qualified EquineShiatsu Practitioner for the past 6 years. Shiatsu is Japanese physiotherapy using acupressure techniques. 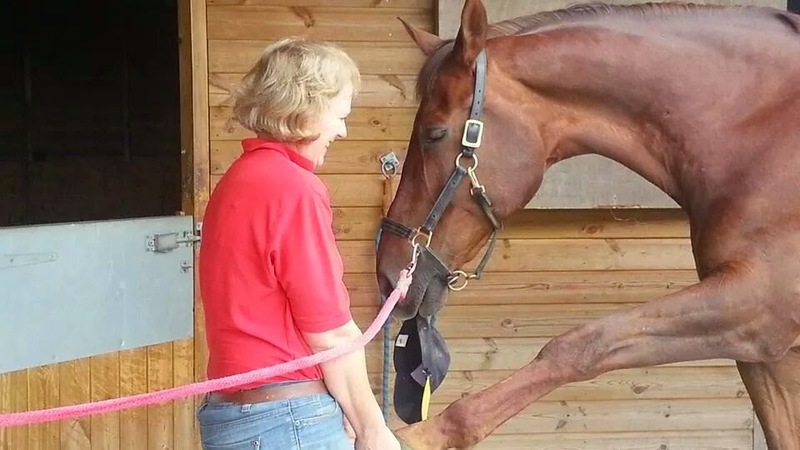 She has been involved in the equine industry for over 25 years and achieved various BHS qualification as well as backing and schooling of young competition horse including racehorses, competed herself at British Eventing, coaching riders in different disciplines, plus a qualified human seated Shiatsu therapist which has seen her help riders improve their performance through correcting imbalances through their skeletal. Her human therapy work has also seen her take over the running and organizing of the healing areas front of house at the UK’s 2 largest rock festivals, Download and Sonisphere whereby she runs a team of 8 therapists in different fields. Mandy has now also taken over the backstage area at Sonisphere where she treats the artists as they too constantly suffer stress and strains from their high energetic performances. 2013 Mandy bred her first foal from her well bred mare and was extremely pleased to have received the Elite Premium grading at the BEFF (British Equestrian Futurity Federation) Donnerhalls Daiquiri finished 8th in the overall table for International Dressage horse prospect. EWBM hopes to continue with the breeding and produce international competition horses of the future. Mandy has a real passion and empathy to equine health and wellbeing and is constantly looking at new technologies and treatments in the continuation of improving health and vitality in both horse and rider. As well as having worked in the horse industry, Mandy has also years of experience having worked in an office environment as an office administrator gaining sound knowledge and experience in the day to day running of a business, a valuable strength to the EWBM project. Outside of horses Mandy enjoys; Music Festivals, Grand Prix Motor Racing, outdoor activities, theatre, dinning, socializing, and outdoor sports. Sgt. 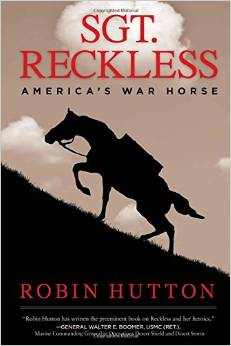 Reckless: America’s War Horse is the complete biography of an ex-race horse turned American hero. 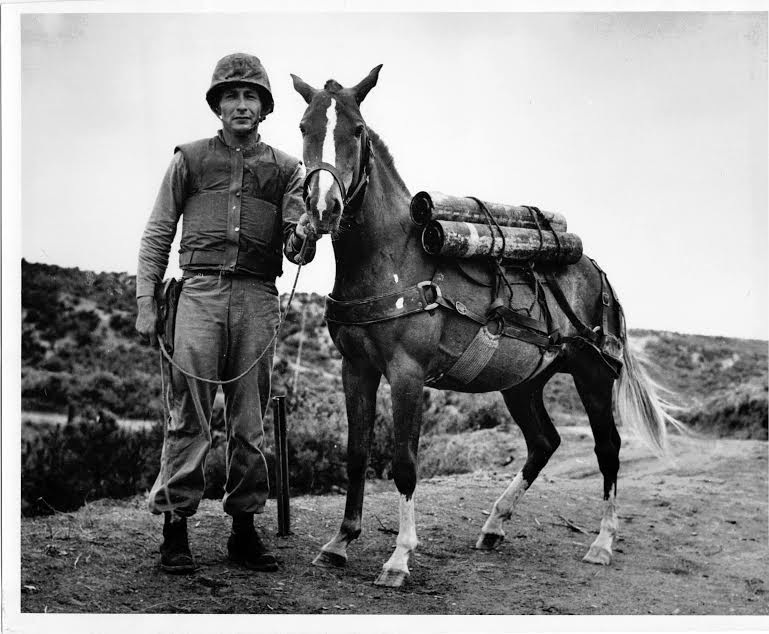 Author Robin Hutton writes the captivating tale of Sgt. Reckless – a Mongolian mare whose courage and determination prevailed during perilous times. What was your inspiration for writing about Sgt. Reckless? 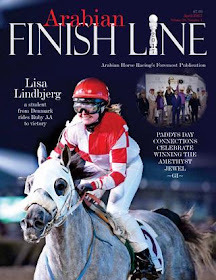 When I first discovered her story eight years ago I was stunned that I had never heard about her before, because to me, this is the GREATEST horse story that I had ever read. When I googled her name, only four items came up on the internet - FOUR! I discovered she was iconic in the 1950s and 60s, but disappeared from the pages of history. 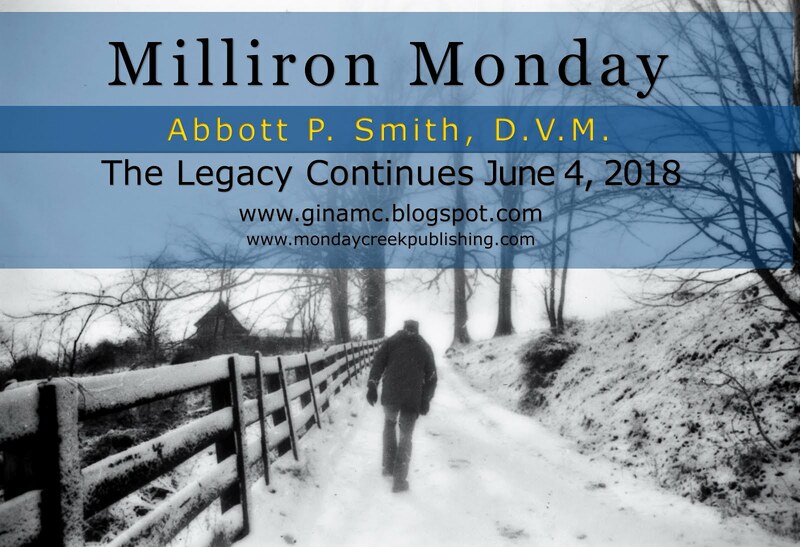 So, I made it my mission to make sure she is never forgotten again -- and, that her story reaches the iconic stature of Secretariat and Seabiscuit with the masses before I’m done! So many wonderful, heroic Sgt. Reckless anecdotes from the book! Which one is your favorite? Oh goodness! So many to choose from! It’s hard to choose! But I think it would have to be where she ate the centers of the cherry pies that Manny, the cook, had put out to cool! Just knowing how much she loved her cherry pie put a smile on my face - and I can just imagine the look on Manny’s face when he discovered them! Of the seventy-five US Marines you interviewed, which interview stands out? The other one was from George Johannes who was also at Outpost Vegas. He didn’t see Reckless during the battle as he got off the hill just before the battle began. However, he described a scene that I will never forget - when he saw four Marines vaporized in front of him when mortar fire hit their bunker. “Red rain” was what he was covered with. Since I wrote that story in my book, I’ve had several Marines tell me, sadly, that they too had witnessed the very same thing. What Military Decorations were bestowed on Sgt. Reckless? Where are Sgt. Reckless' foals/lineage today? 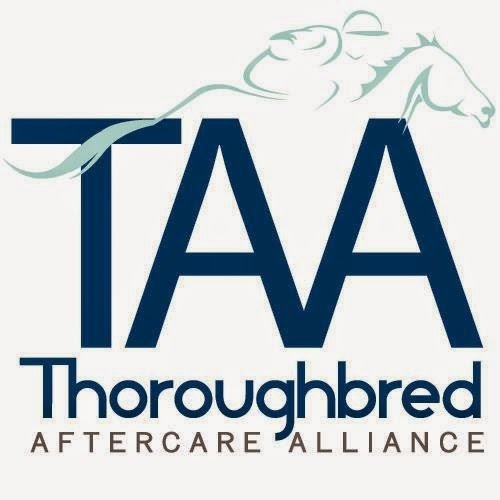 All three of Reckless’s colts were gelded! So sad! She had Fearless (1957), Dauntless (1959) and Chesty (1964). She also had a little filly in 1967 who died after one month. 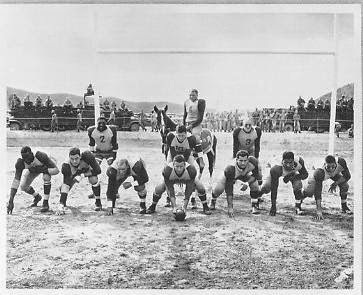 Fearless and Dauntless are buried on the rodeo grounds at Camp Pendleton. Chesty was sold off base, so no record of his burial. Will we see Sgt. Reckless in movie theaters soon? If I have anything to do with it, you certainly will! I have finished my screenplay and will start shopping it now that the book is out! It will make you laugh, it will make you cry - it will make you leave the theater feeling ten feet tall! What is 'Angels Without Wings, Inc.'? 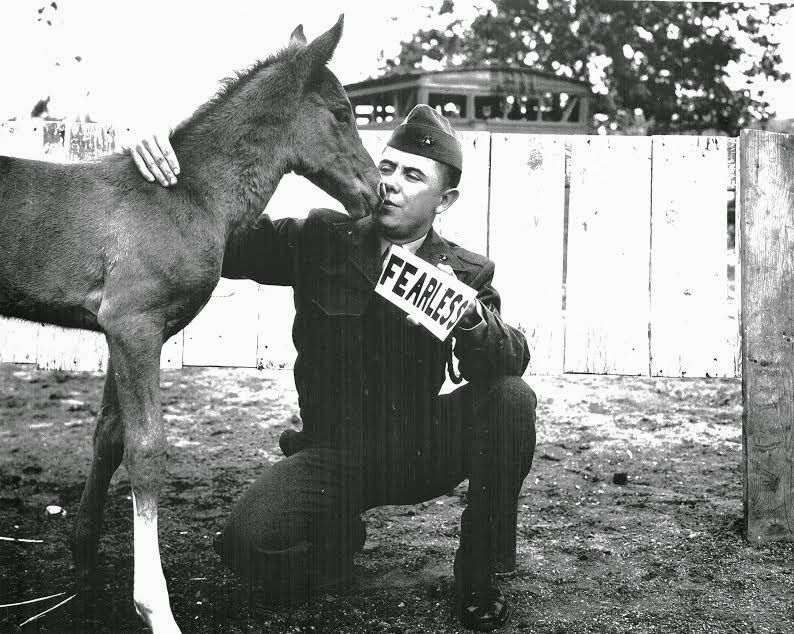 AWW, Inc is my non-profit that I set up to raise the money for the monuments to Sgt Reckless. 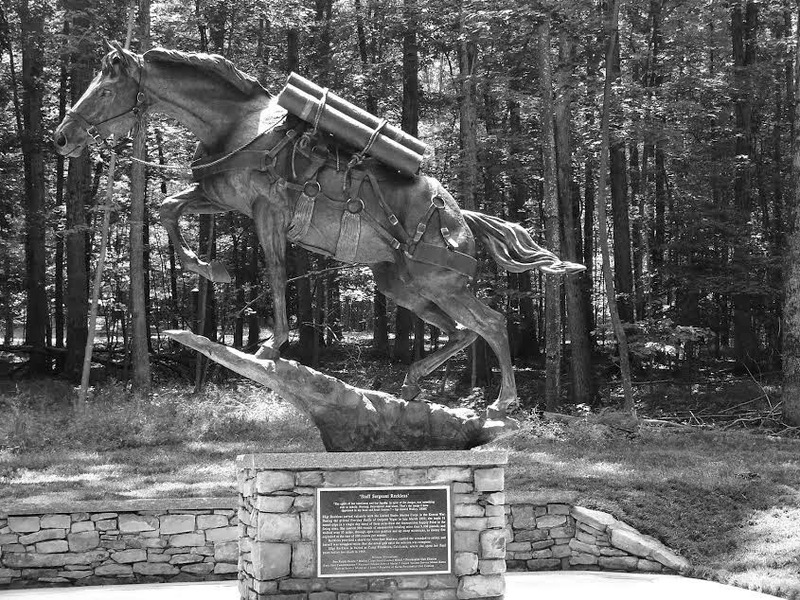 We placed the first monument last year at the National Museum of the Marine Corps in Triangle (Quantico), VA. We are now raising money for the one at Camp Pendleton, where Reckless lived out her days and is buried, and also, hopefully, one will be placed in South Korea as well. But actually, AWW, Inc. is much more than that. I set it up to raise money and awareness for those “Angels” who walk among us ... those people who give of themselves selflessly, day in and day out, to help those in need, or an animal in need. These people show us that it only takes one person to make a difference - just a little bit of one’s time, ingenuity and a little bit of effort can make all the difference in the world to those less fortunate. These people show us that ...We all can be Angels - if we try. And every day I try to “Be the change you want to see in the world.” That’s what Angels Without Wings is all about! I can write anywhere - and it all depends on what I am writing, and the time of year that I’m writing. When I’m at home and the weather is nice, I love to write on my front or back porch, sitting there with my dogs around me, surrounded by my rose garden and watching the hummingbirds. Or in the fall and winter, I really love to put on my sweats and my favorite oversized sweater and sit in front of my fireplace, curled up on my couch, soft music playing - again dogs all around me. They are such a wonderful comfort -- and they inspire me! Hahaha! Okay, I couldn’t pass that one up! I take a lot of notes in spiral notebooks. When I start a project, I get a clean spiral notebook and keep all of my notes and thoughts and ideas and contacts in there. For Reckless I have 3 large notebooks, and now have a fourth one for the marketing of the book. I try and keep as much information in there as I can. Also “To-Do” lists. Sometimes it takes a lot of flipping back and fourth - but I know I can find stuff in there eventually! When I’m in the car and can’t write, I have a little tape recorder that I will turn on and record things on there, and then type them up so I have them handy. Having just finished Sgt Reckless, I’m now working on the marketing and promotion of the book, so I’ve not started writing anything new yet. Besides, I’m trying to enjoy having just given birth! hahaha! There is talk of doing a children’s book which I’m very excited about and look forward to diving into! And also, I have to get the monument for Reckless completed first before I start writing on any new project because, as your readers who have done any kind of fundraising know, that is an all-consuming job in itself! And there’s a lot of writing involved in promotional materials, speeches, etc. So that’s really keeping me busy! For starters, write what you are passionate about! That will keep you going when the thoughts dry up - and we all have those days! If you find a topic that stirs your emotions and your passion - run with it! Secondly, research your topic thoroughly - whether writing a novel or a non-fiction book. You MUST get the research right, because if you don’t, that will cause people not to trust you - and you need their trust so they will go on the journey with you, plus have them want to read other things that you write. Mark Twain once said, “Write what you know.” I don’t really agree with that. At least for me, I find that if I write what I DON’T know, that’s amazing - because then I, too, LEARN something when I research my topic! And it’s in the learning and growing that keeps me going. It’s exciting! BUT, there’s a catch in that because you have to make sure that you do write what you’ve LEARNED - and you must have the facts right! For my novel, it’s a ghost story that takes place during the Civil War, the Kennedy assassination, and present day. Man, I got every Civil War book I could get my hands on, and it opened up a whole passion for the Civil War that I never had before. For my book on Reckless, that happened with the Korean War, and connecting with all of the amazing Marines and other people that came in touch with Reckless. I also had to make sure I had all of the horse references correct. For instance (and please forgive me for being so simplistic here but I’m trying to make a point), there’s no easier way to lose my horse audience than to say something silly like, “Reckless was half stallion.” Well, duh! Horse people would know I didn’t know what I was talking about if I got that simple fact wrong, and so they would dismiss the rest of my research because they couldn’t trust that I had the facts correct on everything else. Getting the research right is critical. It takes work - that’s the hard work - but it will pay off immensely when the book is out! What's the secret to writing a great book? Everything I said above! Plus having a GREAT subject to write about! 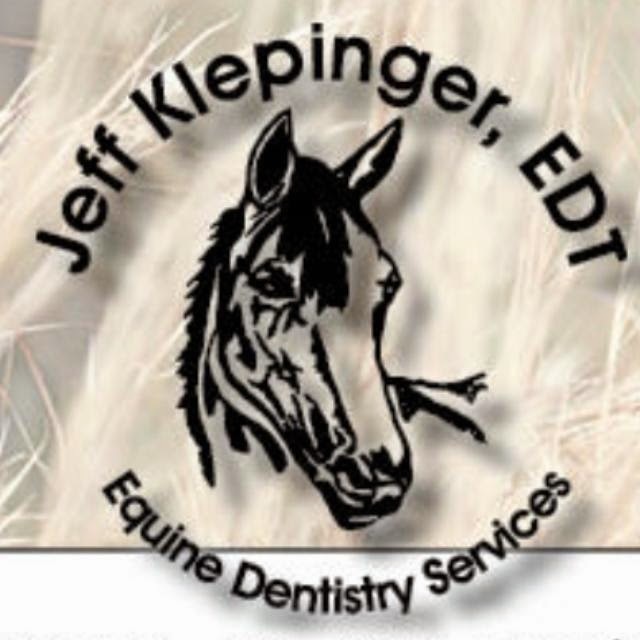 JeffKlepinger, EDT, Equine Dentist, presents his new video Equine Dentistry without Sedation. As a horse owner, Jeff asked if I would review his new video and share my analysis and recommendations. The video is very informative and explains a horse’s dental health in detail. Jeff introduces a beautiful compliant Appaloosa, who is willing to serve for this demonstration. Jeff begins with an Introduction, expounding on how to determine when your horse needs a float procedure. The video consists of the device Jeff uses, two float demonstrations, and a testimonial. The term float means a rasp/file (also called a float) is used to grind down a horse’s sharp teeth. Jeff explains that caring for your horse’s teeth keeps them healthy and prolongs their life. He continues by explaining that horses have 24 baby teeth (caps) and that they will acquire 36-44 adult teeth. Jeff continues by demonstrating how to inspect and examine your horse’s teeth. He explains the molar arcade and how teeth sharpen with age, causing chewing problems and more; weight loss, quidding, excessive bit chewing, foul odors, and the list goes on. He describes the incisors and how they work and where to look for trouble. Jeff demonstrates how he uses a speculum (rubber mouth gag) to enter the horse’s mouth - without sedation. Jeff sticks his entire hand in the Appaloosa’s mouth. He’s a professional, and personally, I do not feel comfortable sticking my hand in my horse’s mouth, and will leave it to professionals, like Jeff. Equine dental health is extremely important. As with humans, tooth health determines overall wellness. I realize the importance of equine dental health and recommend Jeff’s video for all horse owners! 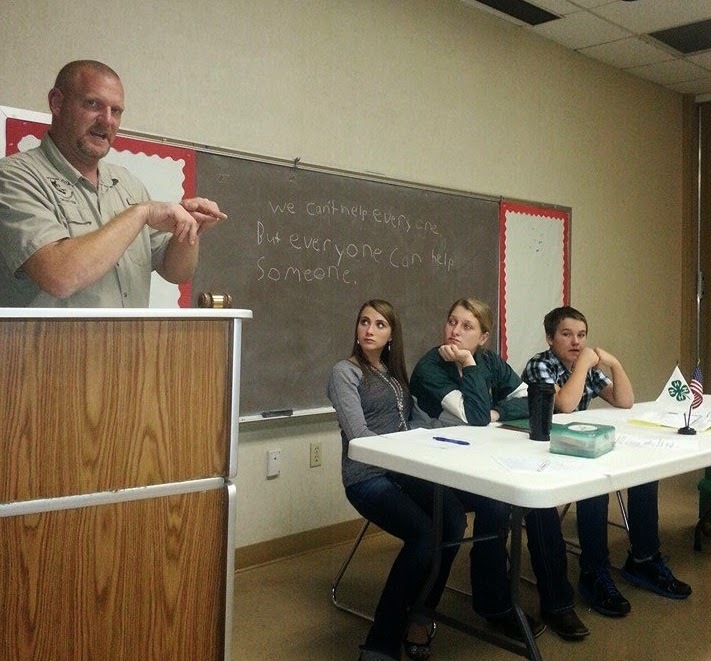 Great job, Jeff, on explaining horse dentistry and keeping us informed on how to care for our horses! I recommend this video for those wanting to keep their horses in tip-top shape. To receive a copy of the DVD and learn more about Equine Dentistry Services, visit Jeff's website. 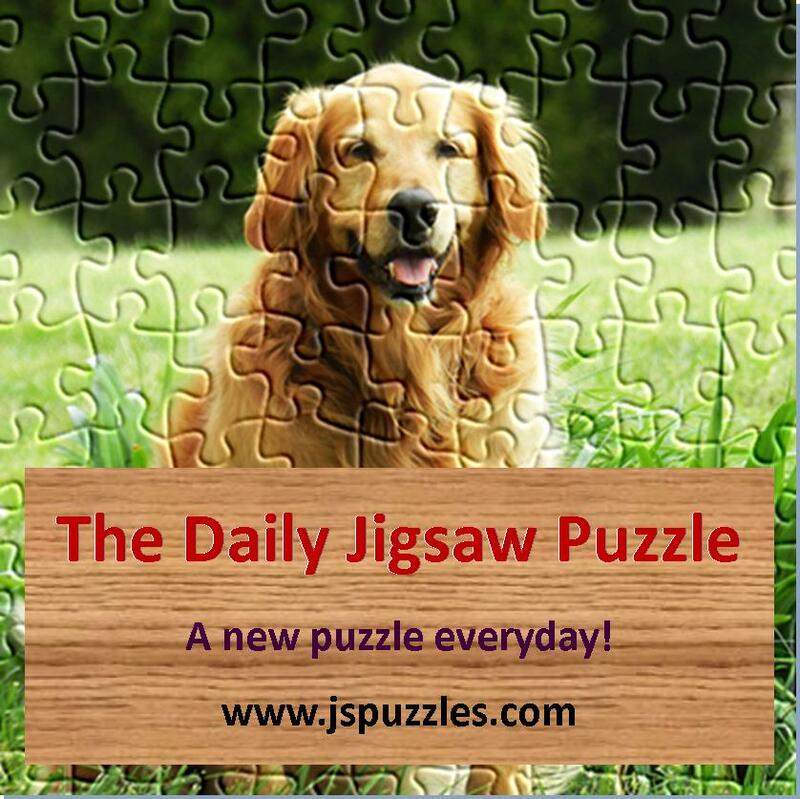 Enjoy interviews of famous people; authors, cowboys, artisans, and much more! 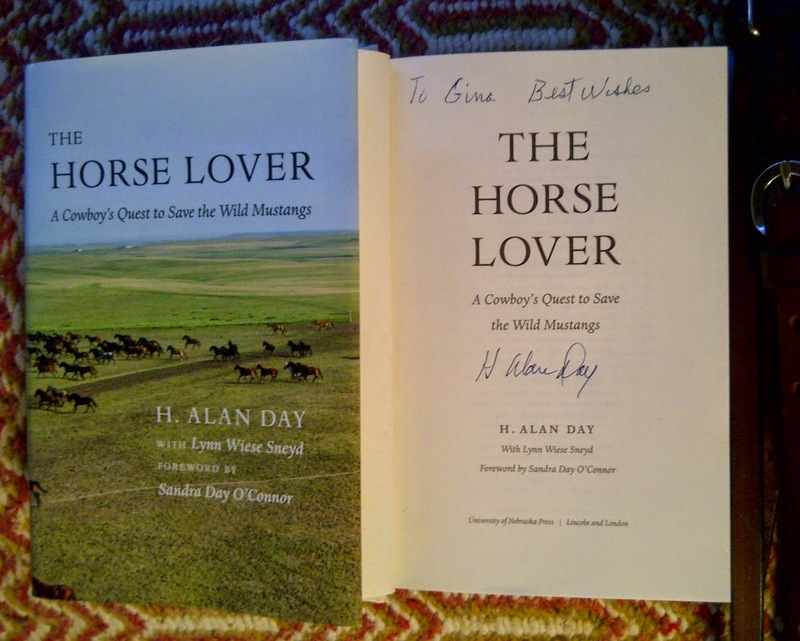 For this month’s iView I had the great opportunity to interview H. Alan Day about his new book The Horse Lover: A Cowboy’s Quest to Save the Wild Mustangs. 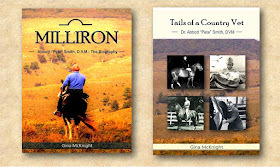 Day's book is recommended reading for every horse-lover and for those interested in America’s Wild Mustang herds. Mina R Raulston has been a freelance writer for newspapers and magazines for nearly twenty years. 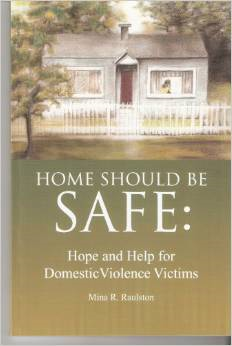 Last year she self-published her first book, Home Should Be Safe: Hope and Help for Domestic Violence Victims. Her most recent adventure is forming her own book company, Hat Rack Books, LLC where she will write, publish and sell books at Trade Fairs and online. In November she is hosting her first annual Christian Author Fair in Hilliard, Ohio, USA. In her personal life Mina is a single mother of two married children who have blessed her with 4 wonderful grandchildren. I don’t remember a moment when I decided I wanted to become a writer. It’s been more of a journey. Although I was always good at English and writing school papers I didn’t start writing until after my divorce in 1989. I began with journaling for myself, just to get all the pent up emotions out of me. Later wrote Bible studies and became the editor for my church’s newsletter. That led to writing for local newsletters and denominational magazines. Since then I have self-published my first book and expanded my writing opportunities to include writing my own blog, writing for websites and writing speeches for a company called Easy Speech. Who would enjoy reading your books? So far I have written strictly non-fiction so I think the people who would most enjoy reading my books are those who are seeking knowledge. I went through a traumatic experience and after surviving it with God’s help and strength I had to tell others so they might find the same healing and deliverance as well as inform those who know a domestic violence victim and want to help them. What is God's role for Women? God’s Role for Women is a Bible study that I wrote as a result of my brokenness after my divorce. My family was not religious in any way but God has been my strength and foundation since I was a child. I grew up very unsure of what I was supposed to do or be and never feeling like I was doing what I was intended to do. I studied all the women in the Bible to discover what God intended me to do with my life. In that study I found women who filled a plethora of roles. Eve was the First woman to do anything and everything possible for her in her day. Sara, the wife of Abraham ran a household in a caravan. Miriam, the sister of Moses, was a music minister. Esther, a Jewish orphan, became a queen and saved her people from being destroyed and became one of the first women in history to write a law. Deborah was married but the Bible only talks about her being a Judge in Israel appointed by God. And that’s just the Old Testament. In the New Testament there are women who were leaders in the church, ministers and teachers. Basically God created each of us with unique gifts and talents and he doesn’t call us, appoint us or anoint us based upon gender. We can do whatever we are naturally gifted to do and as the scripture teaches do it all to the glory of God. I have learned to keep a notebook with me at all times to write down ideas and thoughts and if I don’t have paper and pen with me then I’ve learned to use my notepad on my phone. Sometimes I take a few minutes and just brainstorm while other times I just write down ideas when they come to me. My favorite place to write is sitting in my tilt back chair, holding my laptop while watching television. My favorite time to write is late at night when the rest of the world is sound asleep, no car doors slamming, no doors opening and closing, no neighbors chattering up and down the stairs or clomping around upstairs. Currently I am working on a memoir about my relationship with my mother who developed mental illness when I was eight years old. From the critiques I’m receiving from fellow students and professors there is a great need for this book from other adult children of a mentally ill parent. Wow, I read so much and so many different things. I love mysteries and a couple of my favorite mystery authors are James Scott Bell who writes legal mysteries. As a former trial attorney he brings wonderful realism to his books. I also like historical fiction, and Biblical fiction. 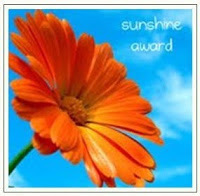 Other authors I enjoy are Dee Henderson, Lynn Austin, Irene Hannon, Shelley Gray and Sarah Sundin. I don’t watch much television because a good novel is so much more engrossing. Do everything you can to improve your writing: Read books by good writers, take classes in writing, find a critique group, WRITE something every day even if it’s just your own journal. No muscle grows without exercise and your writing muscles are the same. Stretch yourself. Don’t be afraid to step out of your comfort zone and try to write something new and different. Have fun with your writing. It is one of the few professions where you can actually say you’re having fun unlike most office jobs or factory jobs. I am a mother of 2 and grandmother of 4. In my junior year of high school I was the runner up for Miss Junior Achievement in my home town. I have worked in retail, mortgage and the wireless industry as my “day jobs”. I have sung in the church choir for most of my life. I may possibly be a distant cousin of Robert Frost on my father’s side of my family. We are a family of musicians, teachers and trainers. I just started a new business, Hat Rack Books, LLC where I will write, publish and sell my own books as well as sell other author’s books both new and used and offer publishing consulting. 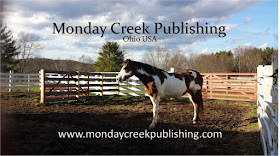 Future plans including publishing other author’s books. I am hosting my first annual Christian Author Fair titled “Adventures in Creativity” November 15, 2014. Details are available on my Facebook Event page. 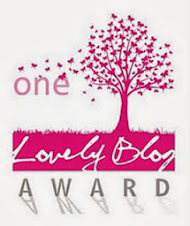 Last but not least, I am a born again Christian and my desire is to use my writing talents to glorify God. From Pennsburgh, Pennsylvania, USA, welcome today's guest writer Sergeant Clyde Hoch ! 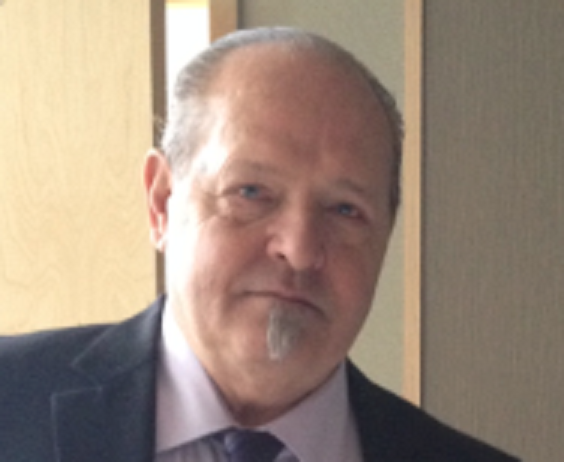 Clyde is an award winning author, Vietnam War Veteran, public speaker, and much more. 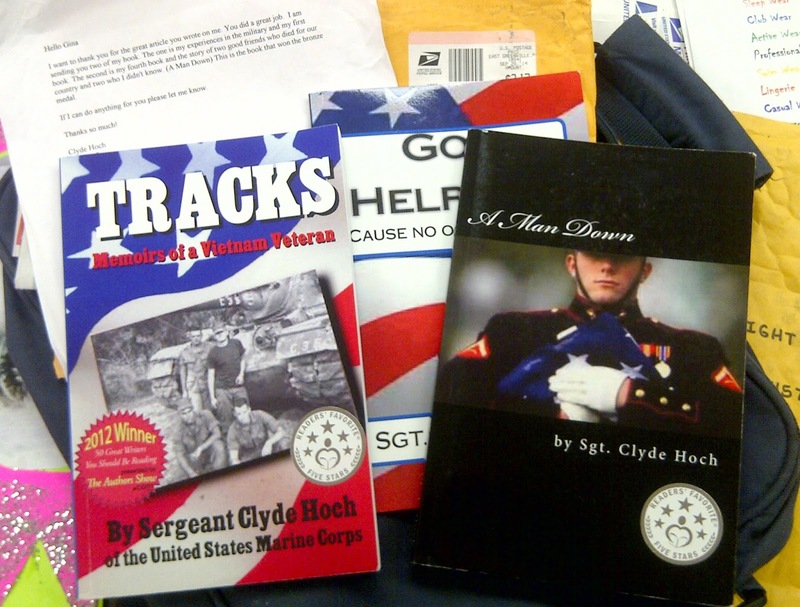 In his books, Clyde shares his experiences of wartime, life, and beyond. Clyde has written five books, with his sixth book to be introduced September 27, 2014 at the Lehigh County Heritage Museum, 432 W. Walnut St. Allentown, Pennsylvania. He will be a Speaker during Museum Day Live. Lehigh Valley Heritage Museum will join over 1,400 other participating venues across America for the tenth annual Museum Day Live! The event is free. Tickets can be obtained at Smithsonian.com/museumday - granting free admission to participating museums on this date. Clyde welcomes you to stop by the Museum and say hello! Thank you, Clyde, for your service for our freedom and for sharing your story of Spike! A fond childhood memory of a beautiful horse that affirms the important role horses play in our human existence. I remember my father taking me to this large farm when I was young boy. I loved it there. It had large fields surrounded by woods. They had a working dairy farm. This was better than any amusement park to me. Each cow knew its own stanchion, and went to it when let in the barn for milking. Charlie put food at each one's place in a trough. As soon as the doors were opened the cows came almost at a run. I asked Charlie why they liked the food so much. He said, "It has molasses in it and they love molasses. Taste it!" I did, it was very sweet. The cows and barn were well taken care of. They milked the cows by hand. I remember asking my father how he knew them. He said they are relatives. I asked him how. He said they are your second cousins, I guess. I went with him every time he went there. There were four sisters and a brother. Their names were Charlie, Anna, and Julie Krauss. They stayed in a small summer house. They were great people and seemed like they would do anything for anyone in need. The other two sisters, I don't remember ever meeting. They stayed in the main house and took care of their mother. On our trips my father would talk to Charlie while I roamed the farm. There was always something new to find, from the old wooden working water trough to the old hand dug opened well. By opened I mean there was nothing to stop you from falling into it. Everywhere you looked there was something fascinating to a young boy. They also had a great big Clydesdale. He was a giant compared to a little boy. I remember just watching him eat grass. I thought he was awesome with his big hairy hooves. One day when my father was ready to leave and they continued talking, I mentioned I would love to stay here. It was spring time, a great time of the year. My dad said, "Pitch a tent in one of the fields." I asked, "Can I do that?" Charlie said, "Sure if you want." My dad said, "That's OK with me." As school came to a close I had my stuff ready. I had everything I would need--a tent, a sleeping bag, and cooking utensils. My dad even gave me an old 22 long rife and plenty of ammo. I was going to be a mountain man. I was going to live on my own. I would shoot animals to eat. I was so excited. Everything went well. 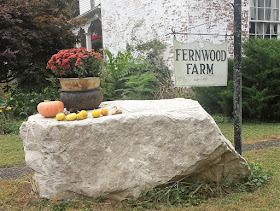 Most of my mountain man time was spent at the farm even eating there. The Krauss's enjoyed me being there and, I loved it there. Soon after settling in I was talking with Charlie as we watched the big Clydesdale. I asked Charlie how old was he. He said, "He is about 27, I bought him when he was a little colt. We used to use him to plow and do all kinds of chores around here." He said, "I named him Spike." I thought that was the coolest name in the world for a giant horse. Charlie said," We used him up until a couple of years ago, then we retired him. He just does what he wants now." He said, "He needs to be brushed." I said, "Can I brush Him?" Charlie brought out a curry comb and showed me how to use it. It wasn't long before I was a pro with the curry comb. Spike looked younger and cleaner after a few brushings. He was a gentle giant; if you touched his hoof he would lift it up for you. I thought it was rather amazing this big horse would listen to a little boy. He would lower his head to let me brush it and to pet him. The brushings became almost daily. One day Charlie and I walked up to the fence that Spike was in. Spike came walking right up to me. I thought this was odd, he was Charlie's horse and he came to me. Charlie said, "He likes you." I said, "Why?" He said, "Because you brush him and he likes to be brushed." I was proud of myself. I had a giant friend. After one of my excursions in the woods I was walking along the fence, Spike spotted me and came to me. I wondered if you could ride a working horse. After petting him for a while I climbed up a fence post. I got on his back with some effort. He was a big animal. I didn't know what to expect, would he throw me off? I sat there nervously for a while. I didn't have permission from Charlie to get on his horse. Spike didn't seem to care. After this I would take him to a fence post and climb on his back often. His back was like a large living lawn chair. I could lay there with my arms spread. It was so comfortable. Some of my fondest childhood memories were just lying on Spike's back with the sun shining down on us. I felt so comfortable and safe. Spike went back to wandering around the pasture looking for the best spots to eat grass, and I was left to let my mind wonder through all kinds of boyhood day dreams. I could be whatever I wanted to be. I could be a knight or a cowboy, no one would mess with me and Spike. Me and my trusty steed Spike. As long as I live Spike is with me in my mind. I will never forget him. God Help Me! Cause No One Else Will is Clyde’s sixth book. It is about post traumatic stress disorder and veteran's suicides and how to prevent them.